The need for blood is great. The recent extreme weather resulted in several drives being cancelled. 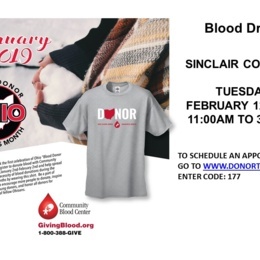 Please consider giving blood at this event. Everyone who registers will receive a t-shirt. We hope to see you there.